In a recent series of postings, I have considered the question of whether Modern Hebrew is a modified, modernized version of the “old”, Biblical Hebrew, or a newly constructed language based more on such Indo-European languages as Yiddish (Germanic) or Russian and Polish (Slavic). While this is a linguistic question, it’s not uncommon to see it turn into a geopolitical issue. 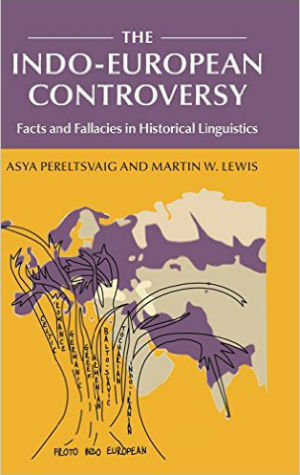 While scientifically speaking, a tight correlation between ethnic/genetic continuity and cultural/linguistic continuity is not a given, many people see linguistic continuity as part and parcel of ethnic continuity. In other words, if Modern Hebrew is a newly constructed language based on Indo-European languages, it begs the question of whether Jewish Israelis have any connection to the Israelites of antiquity and therefore also the question of whether they belong in the Middle East at all. This does not mean that the scholars who advocate some alternative non-revival theory of Modern Hebrew genesis, such as Paul Wexler and Gil’ad Zuckermann, necessary question the right of Israelis to their land or the right of Israel to exist at all, but their theories serve as an argument for some people who do. Let’s examine a bit more closely how this argument would work. As mentioned above, this argument is based crucially on the assumption that linguistic continuity implies ethnic continuity and vice versa. 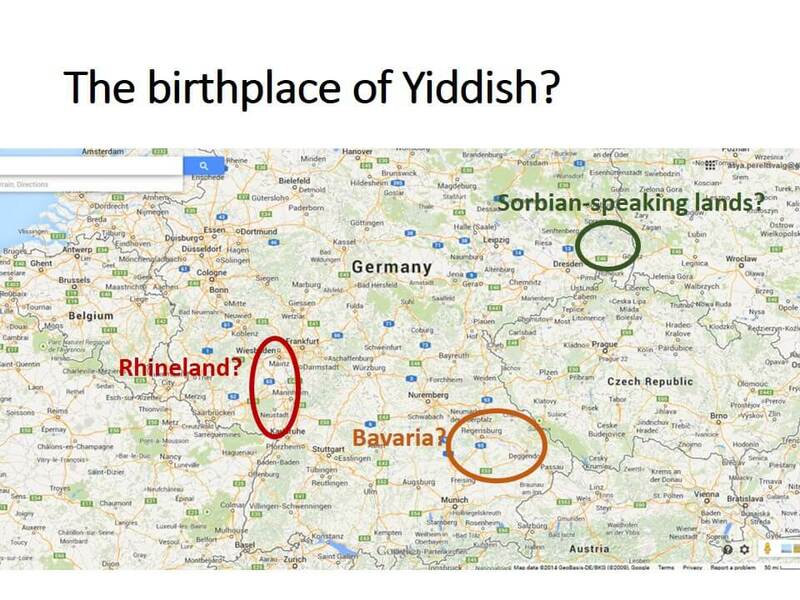 If this assumption is adopted, the idea that Modern Hebrew is an Indo-European language, for example, a Slavic language (in search for its Semitic past, as per Paul Wexler’s 1990 book The Schizoid Nature of Modern Hebrew: A Slavic Language in Search of a Semitic Past), one is going to search for the ethnic/genetic roots of the Jewish people among European peoples as well. One popular theory relates the roots of (Ashkenazi) Jews to the Khazarian Kingdom, whose ruling classes converted to Judaism. Of course, a direct connection is difficult to draw, since Khazars spoke a Turkic language. But ultimately they disappeared from history through an invasion of the Rus’ (the ancestors of the Russians), so maybe the Slavic theory isn’t that far off anyway? But before we get too deeply into such theories, let me remind you that languages and genes don’t always match. 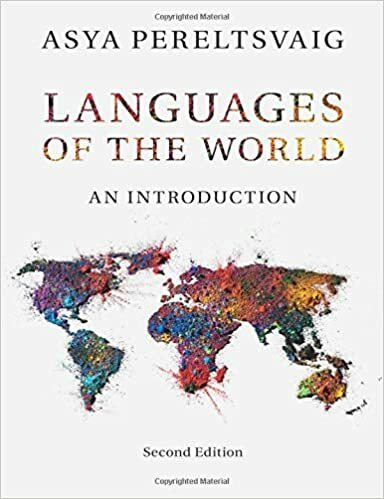 For example, as discussed in more detail in that earlier posting, present-day Hungarians speak a Finno-Ugric language, whose closest linguistic relatives are Khanty and Mansi, both spoken in the Ural Mountains area of Russia. However, the genetic link of Hungarians to other Finno-Ugric peoples is weak at best: their gene pool matches well those of other Central European peoples. In fact, we find more Finno-Ugric genes among the present-day Russians than among Hungarians. Other examples like that abound in all different parts of the world. Going back to the question of genetic connection of the Israeli Jews to the Middle East, a number of genetic studies, including those by Nebel et al. (2001) and Nebel et al. (2005), were conducted to address this very question. The earlier study compared Y-DNA of six Middle Eastern populations: Ashkenazi, Sephardic, and Kurdish Jews from Israel; Muslim Kurds; Muslim Arabs from Israel and the Palestinian Authority Area; and Bedouin from the Negev. They showed that Kurdish and Sephardic Jews are “indistinguishable from one another”, whereas both differ slightly, yet significantly, from Ashkenazi Jews. These differences between Ashkenazi and others Jews “be a result of low-level gene flow from European populations and/or genetic drift during isolation”. Another interesting result to come out of this study is that Jews were found to be more closely related to groups in the north of the Fertile Crescent, such as Kurds, Turks, and Armenians, than to their Arab neighbors. This too is evidence against the assumption of linguistic continuity implying ethnic/genetic continuity: the genetic link between the Semitic-speaking Jews and non-Semitic-speaking groups (Kurdish is a member of the Iranian branch of Indo-European, Armenian is an Indo-European isolate and Turkish is a Turkic language) is closer than that between the various Semitic-speaking groups. The later study addressed specifically the question of the genetic links of Ashkenazi Jews with other Jewish and non-Jewish groups. It showed that “Ashkenazi Jews are more closely related to other Jewish and Middle Eastern groups than to their host populations in Europe” and that “[the] contribution [of the Khazars]… does not exceed ~12% of the present-day Ashkenazim”. Thus, ultimately neither linguistics nor genetics provides strong reasons to doubt whether the Jews belong in the Middle East. Is Esperanto simple and easy?